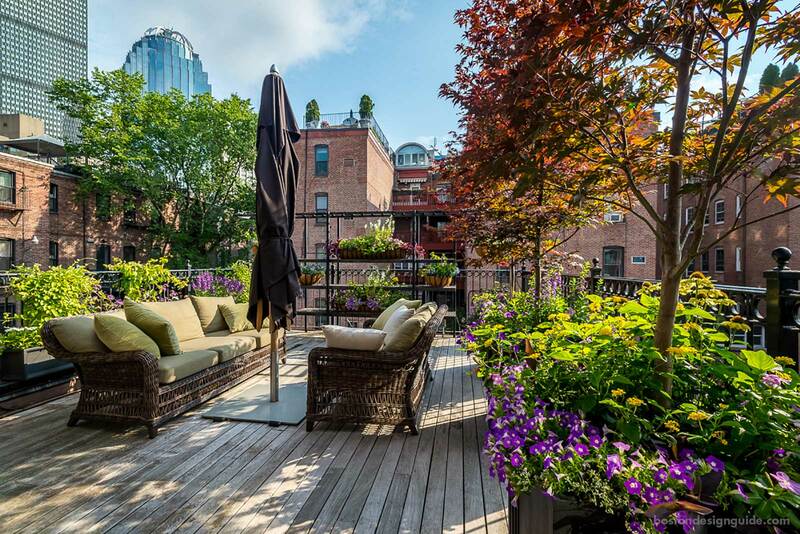 In this time of hidden garden tours—Beacon Hill’s has come and gone, Newport’s Secret Garden Tours are just a few weeks away and Nantucket’s Garden Festival blooms in July—we, too, are taking a look at inspired urban edens. Choosing the city life doesn’t mean you have to forgo green space, it just means that you have to make much of little and/or use the space you do have—beautifully. Here’s a mini tour through three slices of paradise that landscape professionals have carved out in the city. Enjoy! 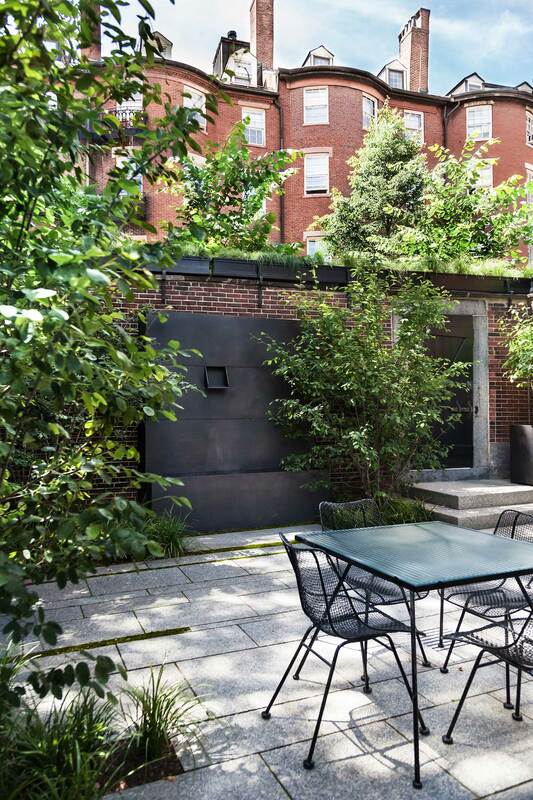 In the St. Botolph neighborhood of Boston, a Blade of Grass gave a homeowner a rooftop oasis amid the brownstones. 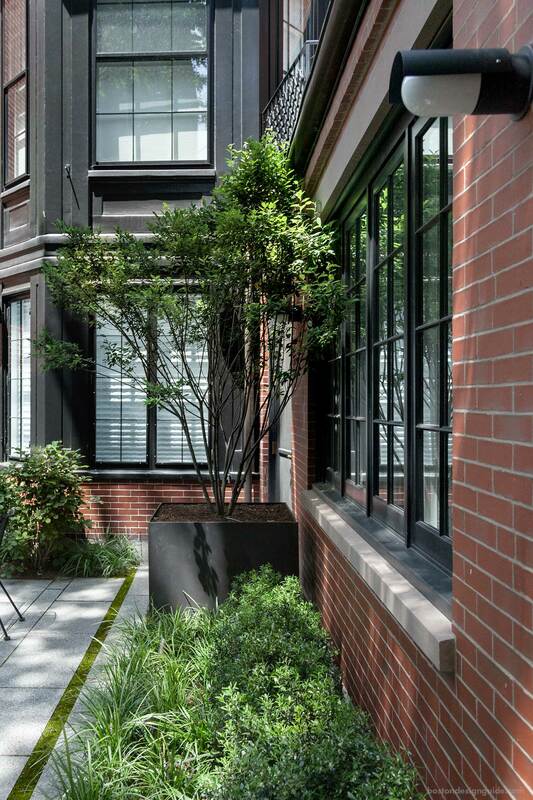 Here, they used containers in spades to craft a lush landscape surrounding plush wicker seating. The designer used plantings of varying heights along the ironwork to achieve a multilayered realm teeming with purple calibrachoa, white Echinacea, purple angelonia, lilac annual vinca and spectacular Bloodgood Japanese maples. Tiered, colorful containers appear at multiple sightlines for screening, and the maples, too, bring privacy and instill a park-like vibe. As the homeowners are staunch patrons of the arts with minimalist leanings, the aesthetic juxtaposes old and new, balancing hardscape with softscape. 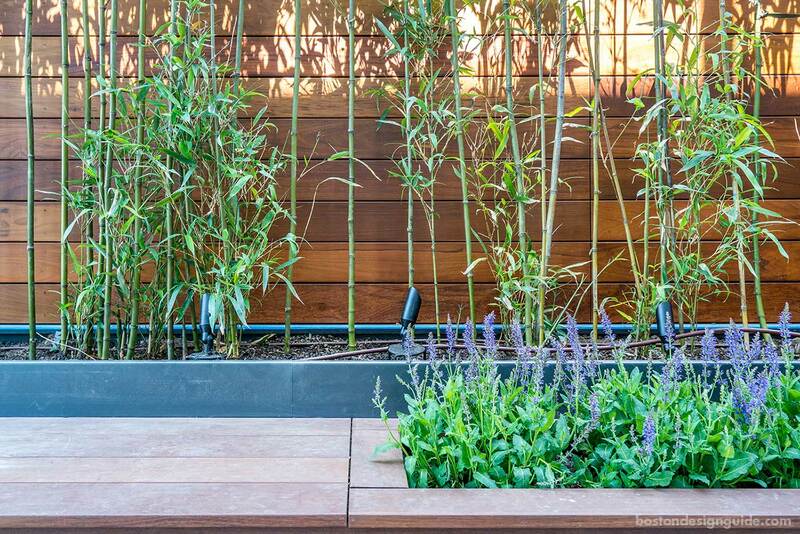 Carex pensylvanica ("Pennsylvania sedge") extends to the sky from garden wall planters, beds brim with Ilex crenata ‘Steeds' ("Japanese holly"), Liriope muscari ("Lilyturf") and fothergilla, and sidewalk trees Amelanchier Canadensis “Autumn brilliance” stem from planters. Linear bands of granite, in unique patterns, are enlivened by Irish moss. 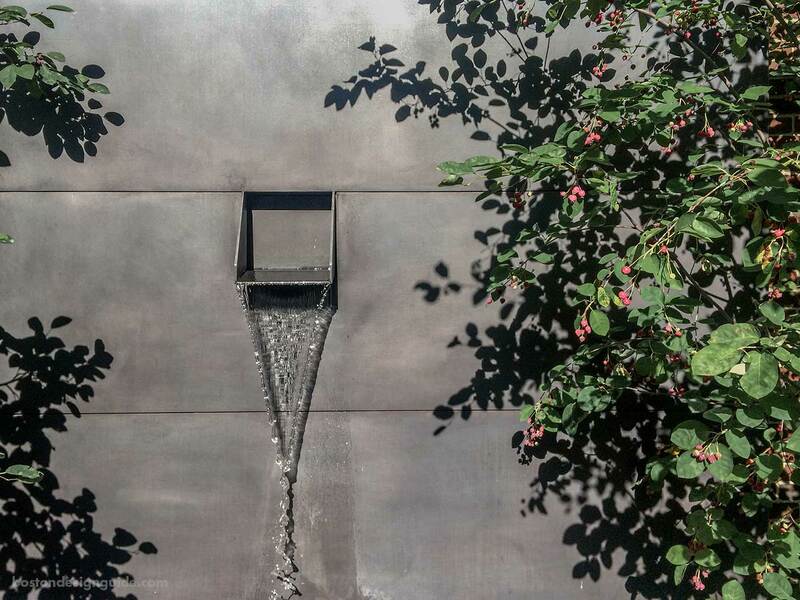 A structured steel fountain with a black patina serves as the focal point, and quiets urban chatter with its flowing water. Come nightfall, the gentle cascade is illuminated, as if in answer to the area’s gas lamps, creating a special setting fit for informal get-togethers and black-tie soirees. 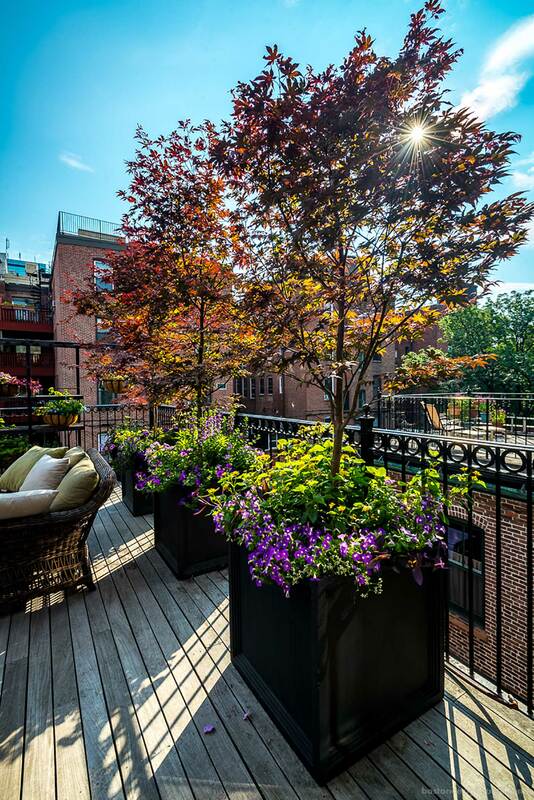 High above the bustle of the city, principal Michael D’Angelo of Michael D’Angelo Landscape Architecture fashioned a private roof terrace with dramatic views of Boston. 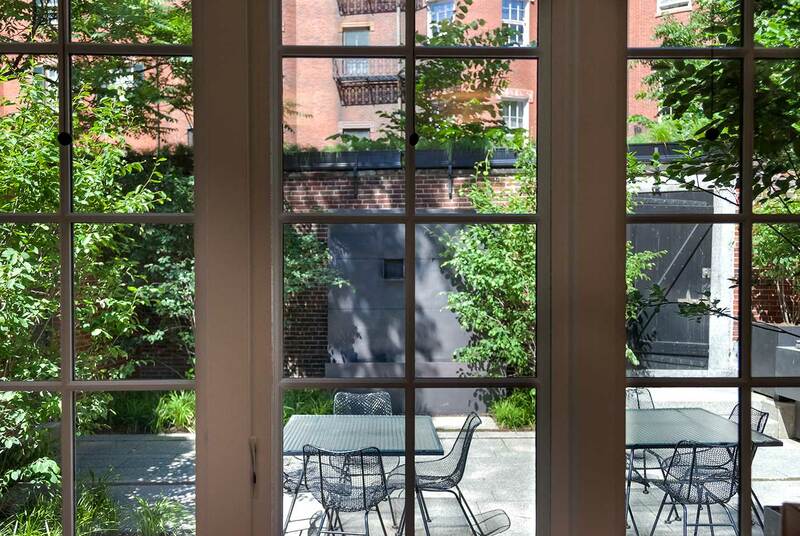 The space is a contemporary slice of heaven, comprised largely of cloistered corridors with horizontal ipe slats for privacy, built-in seating (with concealed LED lighting along its base), precast granite pavers, a fire pit and outdoor grill area. The alcove, pictured above, provides a quiet space for reading or contemplation and serves the dual purpose of hiding utilities. 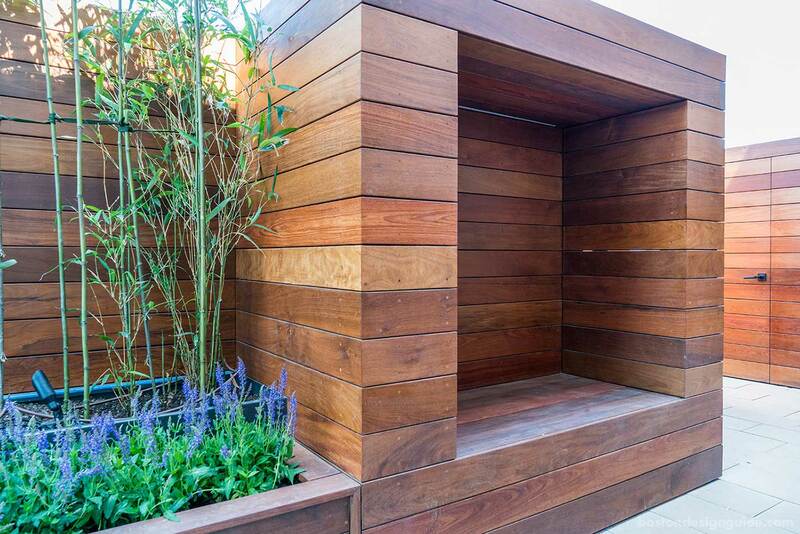 Custom ipe built-in planters add to the setting’s streamlined effect and are home to mature bamboo, boxwood and violet stalks of salvia. The bamboo casts a Zen-like calm to this city oasis, while uplighting creates drama under the moonlight.